We're excited to announce this year's NFL Draft Class that has chosen to prepare for the NFL Combine and their Pro Days with Ignition. We are blessed to have 29 athletes in this year's Combine Class between Ignition FL and Ignition OH. Meet our 2013 NFL Draft Class! Black is a defensive tackle from Indiana University and accepted an invite to the Casino Del Sol All-Star Game. He is tied for the team lead with 15.5 career tackles for loss. Ukwu is a defensive end from University of Kentucky and accepted an invitation to the Texas vs. Nation All Star Game. 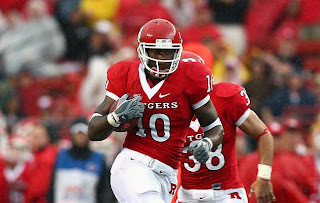 Greene is a linebacker from Rutgers University and accepted an invitation to the 2012 Senior Bowl. He’s a 2012 AP All-American, 2012 Walter Camp All-American, Two-time Big East Defensive Player of the Year, and 2012 All-Big East 1st Team. 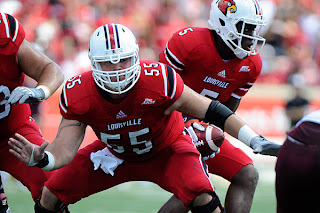 Benavides is an offensive lineman from University of Louisville and accepted an invitation to the NFLPA All Star Game. He made 2012 1st Team All-Big East, was a Team Captain and was a 2012 Rimington Trophy Award Finalist. Winn is a running back from University of Cincinnati and accepted an invitation to the Texas vs. Nation All Star Game. He made 2012 All-Big East 2nd Team, finished with 1,235 yards and 12 touchdowns, and is 2nd in rushing yards for the Big East. Sabino is a linebacker from Ohio State University, and made 2012 All-Big Ten Honorable Mention. 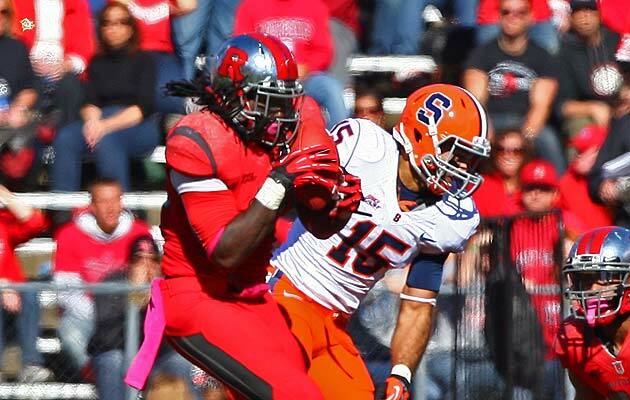 Jefferson is a tight end from Rutgers University and accepted an invitation to the East-West Shrine Game. 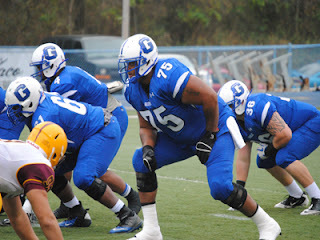 Jackson is an offensive lineman from Glenville State College and accepted an invitation to the East-West Shrine Game. 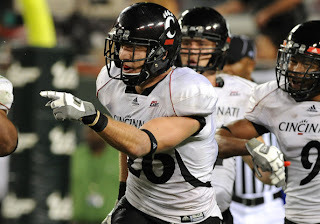 He was a 2012 Team Captain, 2012 All-WVIAC 1st Team, and AFCA Coaches 1st Team All-American. Graham is a running back from University of Pittsburgh and accepted an invitation to the East-West Shrine Game. He was 2012 All-Big East 1st Team, and 2nd on Pitt’s All-Time rushing list with 3,271 career rushing yards. 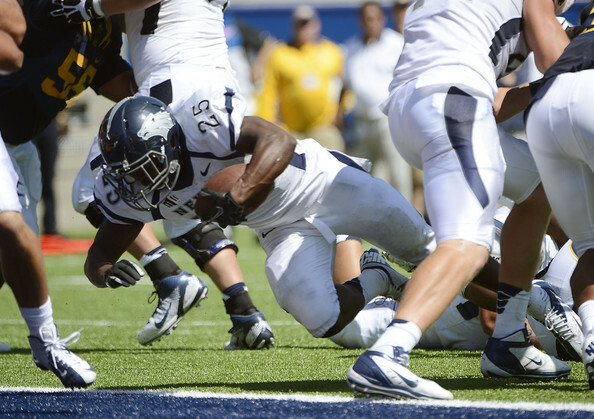 Jefferson is a running back from University of Nevada. He’s 2012 AP All-American 3rd Team, 2012 Walter Camp All-America 2nd Team, 2nd in the nation in rushing with 141.92 yards per game, and second all-time in Mountain West single-season history with 1,703 yards this year. Brockman is a quarterback from Murray State University and accepted an invitation to the Raycom All Star Game. 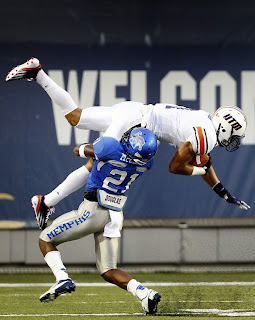 He made 2012 All-OVC 1st Team. 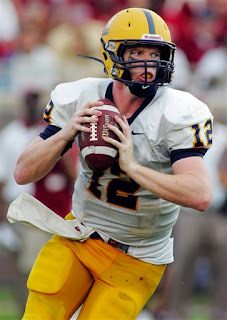 Brockman leads the OVC in attempts, completions, yards and total offense. He leads the FCS in completions and completions per game (32.64), and ranks second in passing yards and total offense per game (345.64). 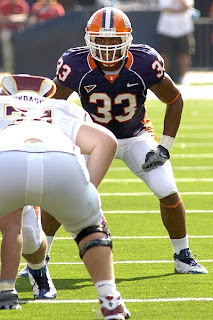 Greer is a linebacker from University of Virginia. He made 2012 Coaches All-ACC 2nd Team, 2012 All-ACC First Team, and is ranked No. 1 among active ACC players in career tackles in 2012 and Notre Dame’s Manti Te’o was the only active BCS player with more career tackles. 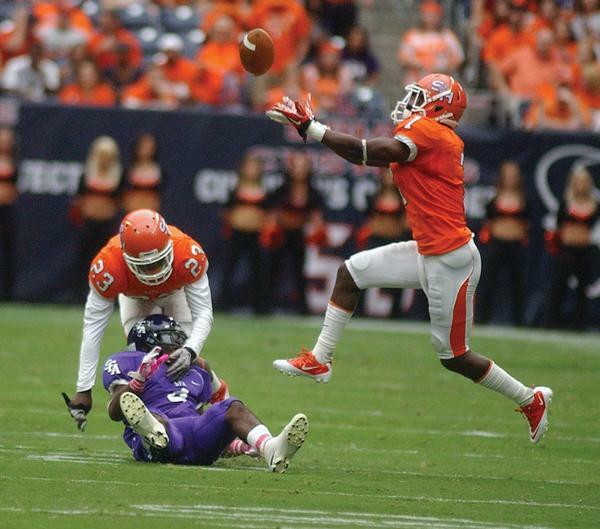 Swanson is a cornerback from Sam Houston State. He’s an All-American and also an NFL Combine invitee. He made the All-Southland Conference Team. He broke a school record, led the conference and was ranked No. 3 nationally with an 8 interception season. Hurst is a cornerback from Oklahoma University and accepted an invitation to play in the East-West Shrine Game. 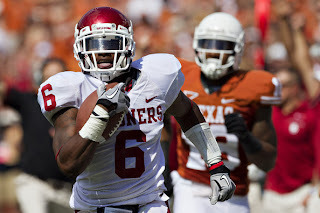 He made the All-Big 12 team in back to back years. 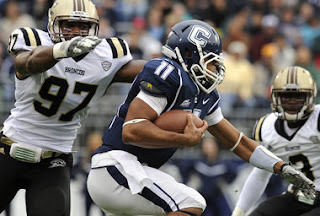 He was also listed to the 2012 Bronko Nagurski Trophy Preseason Watch List. 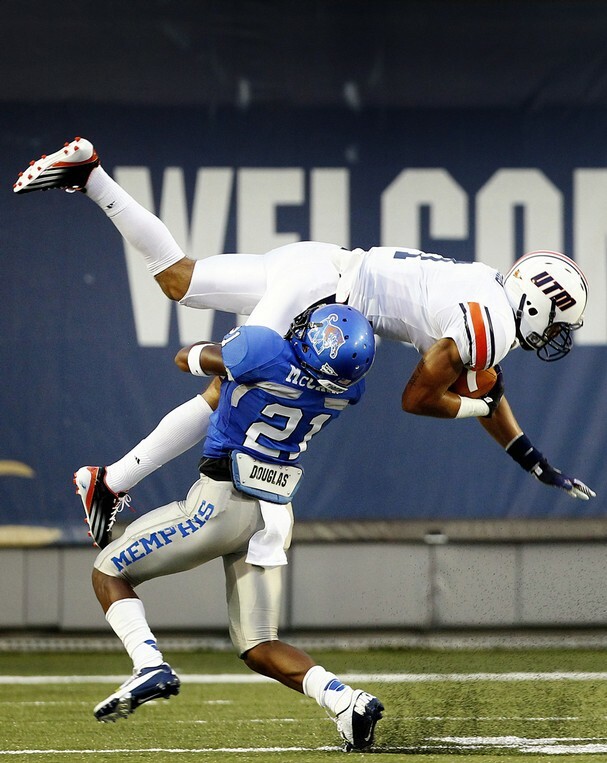 Sims is a wide receiver from UT Martin. He accepted an invitation to the Raycom All Star Game. He was named an All-American, and also made the 2012 All-OVC 1st Team. He also set the OVC’s single-season and career receiving touchdown records. Bomar is a linebacker from University of Cincinnati. He was a Big East Defensive Player of the Week and a 3 time Big East champion. 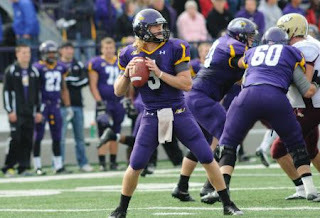 Housewright is a quarterback from Ashland University. He was 2012 1st Team All-American, a 2012 Harlon Hill Trophy Finalist (Division II Player of the Year), and the 2012 GLIAC Player of the Year. He set an NCAA Division II record this year with 377 consecutive passes without an interception. 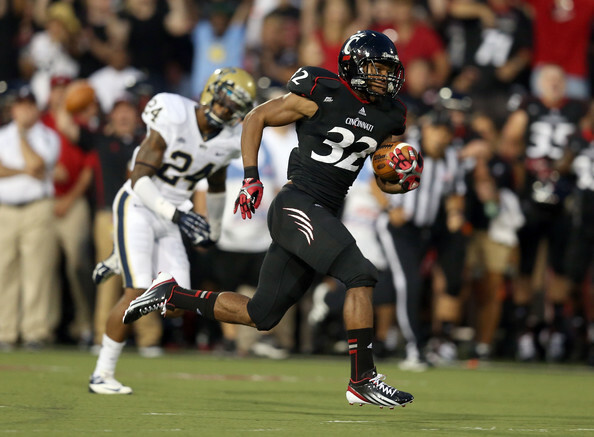 Cheatham is a defensive back from University of Cincinnati. He accepted an invitation to the Raycom All Star Game. He’s 2nd in school history in interceptions for touchdowns. 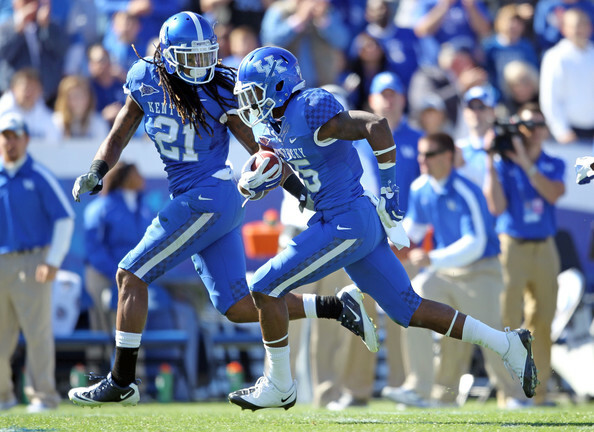 He also led the 2012 team in interceptions and is a 4 time Big East champion. 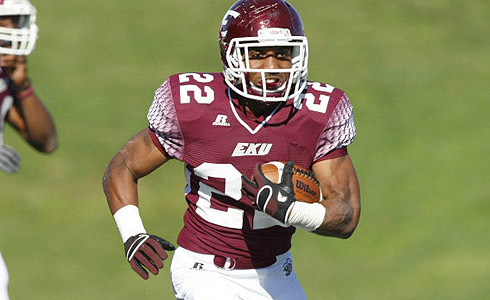 Denham is a running back from Eastern Kentucky University. He was named to the 2012 All-OVC 1st Team. Denham finished the 2012 season ninth in the FCS in rushing with 1,386 yards and ran for another 14 touchdowns. 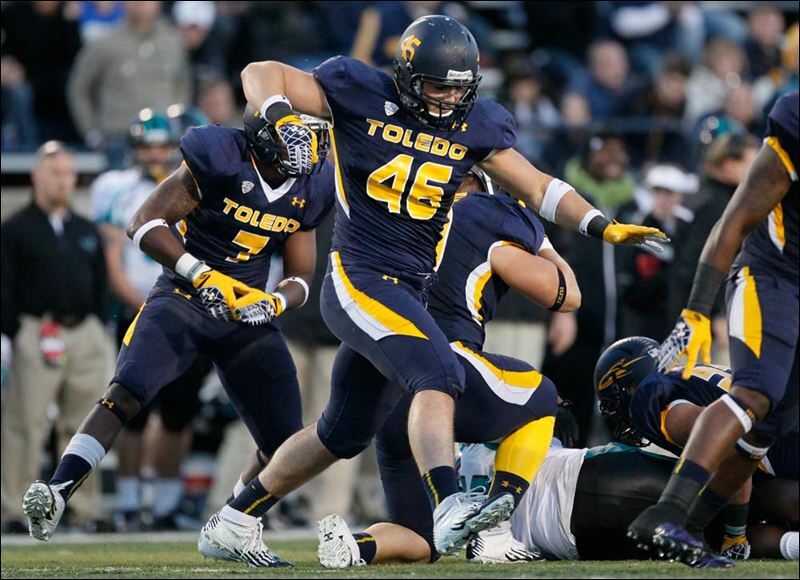 Keighley is a defensive end from University of Toledo. He led the team in tackles for loss and forced fumbles. He was a 4 time team D-Line Player of the Week and a 2 time team Defensive Player of the Week. 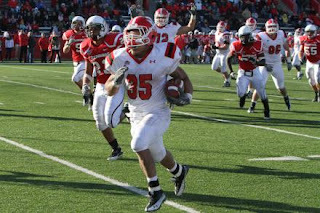 Cook is a running back from Youngstown State University. He was a two time Walter Payton Award Finalist and two time MVP. He was a 3 time All-Conference 1st Team player. On 20 occasions, he rushed for more than 100 yards in a game, the second most in school history. He set the school record for career all-purpose yardage with 5,220, averaging 121.4 yards per game during his career. He was also a two time Team Captain. Bishop is a linebacker from Western Michigan. He made the 2012 All-MAC 2nd Team. He led the team in tackles for loss with 11.5, which is also 5th best in the MAC. He was also a Team Captain and Team MVP. 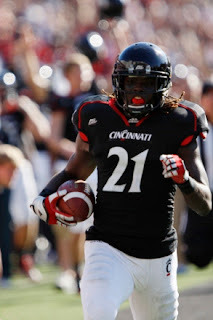 Frey is a safety from University of Cincinnati. He accepted an invitation to the NFLPA Bowl. Frey made 1st Team All-Big East in 2011. 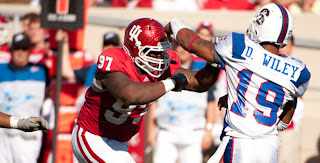 Stewart is a defensive end from University of Cincinnati. He was named to 2012 All-Big East 2nd Team. 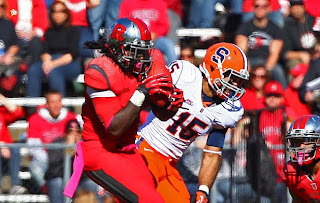 Before his injury, Stewart was the Big East’s active career sack leader with 17. 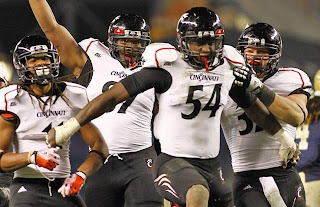 He was also co-Defensive Lineman of the year for UC. 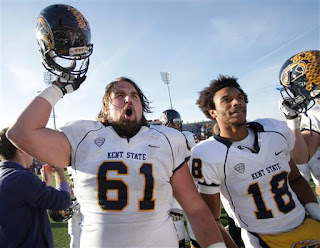 Kline is a offensive lineman from Kent State University. He made 2012 All-MAC 2nd Team. Robinson is a linebacker from University of Georgia. 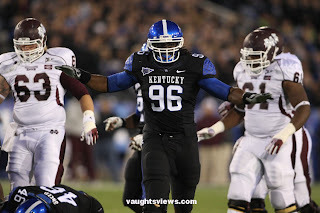 He accepted an invitation to the Raycom All Star Game and was the 2012 Defensive Team Captain. Ellington is a linebacker from University of Illinois. He has the school’s longest non-scoring interception return for 75 yards and his freshman year was named Big Ten Freshman of the Week.